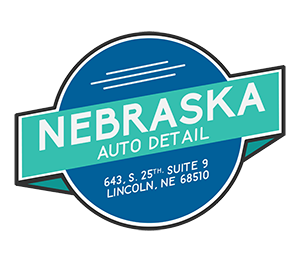 Nebraska Auto Detail is an auto detailing business located in the heart of Lincoln, Nebraska at 25th and Randolph St. We offer quality interior and exterior detailing on your vehicle. Quality over quantity is the mindset of our business. We offer a range of packages to cover your needs. Check Out Our AUTO-mazing Packages & Products! I want to thank Joe Perez from Nebraska Auto Detail for the amazing job he did on my Jeep, today. I've known Joe for a few years, and he is truly one of the genuinely good-guys of the world. Between Hawk, Payton, and the Wife....ok me too, the Jeep has seen better days. Joe made her look better than the day I bought her (I did buy her brand new). If your looking for someone to detail you're ride, and make it look better than ever, give Joe a call! I had an interior detail done and am so pleased with the results! I asked that special attention be paid to cleaning the seats-they now look brand new.My car hasn't looked this nice since I drove it off the lot 3 years ago. My car was done and ready when I was told it would be. Everything was handled in a professional and timely fashion. I would highly recommend Joe and his services!! Joe at Nebraska Auto Detail did the interior of my truck. And he did a amazing job!! When I brought my truck in it had dog hair all over the seats. And every time I tried to clean the dog hair it seemed like it never went away. One day with him its all gone!! Thanks again!! Picked up my car from Joe today and he found stains I didn't even know I had! My car looks great and Joe is super easy to work with! Will definitely be going back!! Best detailing I've had. The service was not only excellently executed, but was prompt as well. I even called, and said I was going to be running a few minutes. Even late, the job was done on time without any slack in service. 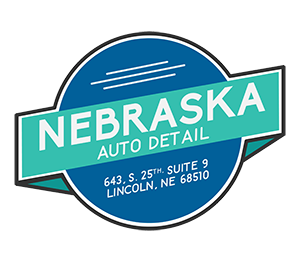 I highly recommend Nebraska Auto Detail to anyone and everyone looking for top notch detailing services. Had my interior done and Joe did an amazing job. Didn't miss a spot and took the extra time to steam clean the rugs to make the details "pop." They didn't have to do this, it just goes to show the attention to detail they pay and are willing to go above and beyond to make his customers happy. Definitely coming back for exterior clean and wax soon!